All Elite Wrestling have some big plans and even more is expected to be announced during their big rally next week in Jacksonville. However, the reporting about this upcoming promotion might have been a little one-sided. Brad Shepard addressed the AEW hype on Oh, You Didn’t Know where he had a much different position on things. Shepard said the reason for much of the anticipation might be due to the fact that one of the Internet Wrestling Community’s top names has been colluding with The Elite. It’s no secret that the famous Wrestling Observer Newsletter writer and The Elite are close. The Young Bucks’ finisher is called The Meltzerdriver, after all. Therefore, if the reporting seemed to be a little biased there could be a reason for this. 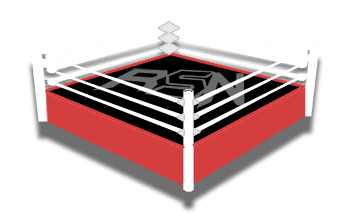 We’re not accusing anyone of being biased here at Ringside News as we present all sources equally and allow our readers to make their own decisions. This is the kind of transparent journalism we cherish. However, it seems like All Elite Wrestling might have been playing a very smart game. Brad Shepard has spoken out before against Meltzer’s report concerning the size of the contracts WWE offered The Elite. There could be a reason for this. The reality is that All Elite Wrestling is a thing and it could be a very big deal. We previously reported that they are currently talking to Time Warner about a big television deal. As more information comes out we will obviously have a better picture of just how they are going to go about things. Chris Jericho, Jim Ross, and Goldberg are rumored to be a part of this new venture with a couple of them in key roles as well. Therefore, only time will tell has never been a more appropriate statement. You can skip to around the fifty-three-minute mark in the podcast below to hear them begin to discuss this situation. The Jim Ross Report Recap w/ Josh Matthews – Tribute to Mean Gene, Special Guest Jim Cornette, Will Ross Work With AEW? More!